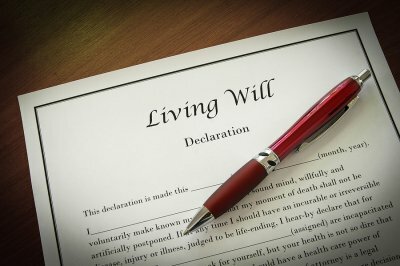 Should You Change Your Will After Divorce? Divorce lawyers serving Spring, TX, regularly advise their clients to change their wills after a divorce. While in this process, you should also make any necessary adjustments to your living will and power of attorney. Divorce lawyers caution all clients amend their wills and the beneficiary designations for life insurance, 401Ks, IRAs, and any other documents where a former spouse is named as beneficiary. After you file divorce papers, you may feel understandably emotional. While making changes to wills and trusts may be the last thing on your mind, you need to consult with a probate lawyer or divorce lawyer as soon as possible. 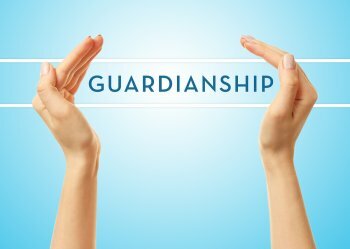 Effectively, even though a divorce “disinherits” your spouse, failure to be vigilant may result in your own children and other beneficiaries becoming effectively disinherited. Ideally, you should review your will, living will, and trusts before filing for divorce, and, if not, most certainly afterwards. That way, your former spouse will not be able to unfairly pursue your individual resources. Divorce attorneys near Spring, TX regularly give their clients advice on both child custody and pet custody. In family law, pets are treated as property when a couple makes the decision to divorce. As divorce lawyers know, couples can have a difficult time determining which partner retains custody of a pet, or perhaps how a pet is to be cared for following separation. After you make the emotional decision to divorce—and select your divorce attorneys from a family law firm—the last thing you want is to give up the love and comfort that a pet provides. Cats and dogs offer unconditional friendship and never let their owners down. If you are considering divorce and want to keep your beloved pet, seek legal advice from an experienced family lawyer. Once you have made the difficult decision to end your marriage , your first step should be to consult with divorce lawyers serving Spring, TX. Only divorce lawyers who are experienced in family law and know the family court system sufficiently well can make sure your rights are protected throughout the process. Over the course of a marriage, many people have children and also may have accumulated significant assets. Such matters can lead to disagreements over money, child support, and child custody. 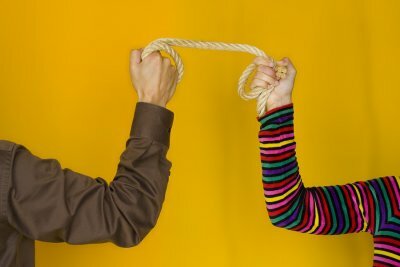 Continue reading to learn more about the steps involved in a contested divorce, including meeting with your attorney, filing the divorce petition, and negotiating the terms of the split. Divorce lawyers advise seeking legal advice immediately after making the decision to end a marriage. After you have selected a family law firm, your attorney will sit down with you to go over the facts of your case. During this meeting, your divorce lawyer will interview you thoroughly and review documents pertaining to marital assets and children of the marriage. He or she will then advise you of what you are fairly entitled to, including child support and property rights. Filing divorce papers, or a “petition,” is the next step in a contested divorce. Your divorce attorney will serve the petition for divorce on your spouse, who will then be given a certain time period to respond. If your spouse does not respond to the petition for divorce within 20 days plus the following Monday, he or she is in default and you may obtain a judgment of divorce without your spouse’s imput. If your former spouse does respond, the case proceeds to discovery and trial, or settlement. During discovery, your divorce lawyers will ask your spouse’s attorneys for detailed information regarding his or her income and child care. After both sides have the requested paperwork, their divorce attorneys generally meet and attempt to come to an agreement, or settlement, before the final court date. If spouses cannot agree to divorce terms, a trial is scheduled.